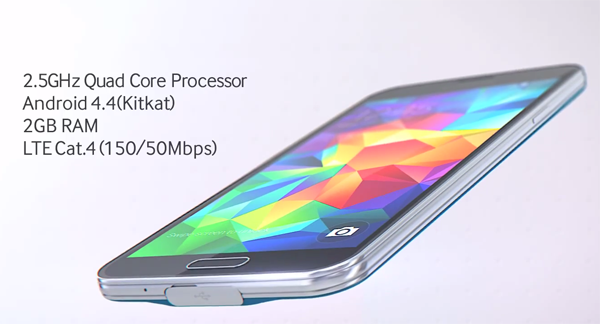 Samsung has released a new Galaxy S5 trailer showing off some of the major features of this latest flagship smartphone. This new official promotional video takes us on a journey of Samsung Galaxy S5. From photography to better connection, we are given a promo ride of this beautiful (yes, it does look beautiful!) new smartphone. While the retail price of SGS5 is still unknown, the extensive list of features that Samsung has introduced with its latest flagship will certainly pull millions of Android fans in. Many of the fans went upset on the launch event at Unpacked 5 as Samsung did not introduce a 2K display along with many other expected features. However, it does look like Samsung has spent more time over the software this time. Not only just the fitness suite and introduction of heart rate monitor, Samsung has gone on to improve the camera, WiFi connectivity, downloading speed, and much much more. Samsung has definitely been successful at producing another all-pleaser smartphone. From fitness buffs to photography geeks, Korean giant looks to lure every segment in with something not being offered with other flagships. With Galaxy S5, Samsung took fingerprint sensor from Apple and water resistance from Sony, thus making many angry about the company copying others. However, what Samsung has done here is to offer a complete package. Not just the few hardware features of fingerprint scanning, waterproof ruggedness, and heart rate monitor, Samsung has also polished and upped its game at software. Galaxy S5 trailer video then goes on to focus on various different features of the latest flagship. More emphasis (and seconds) has been given on Galaxy S5’s improved photo and video taking capabilities. The trailer shows the four colors, Galaxy S5 is going to be offered in. It tells about its display screen, powerful camera, Selective Focus, fastest connectivity, Download Booster, much focus on fitness apps, essential safety features, integration with Gear, dust and water resistance, Ultra power saving mode, safe mobile payments, and various other major and non-major features.